The Subaru brand is well known for equipping its vehicles with as many advanced safety features as possible, but there is one car in the Japanese automaker’s lineup that stands out from the rest. That car is the 2017 Subaru BRZ. 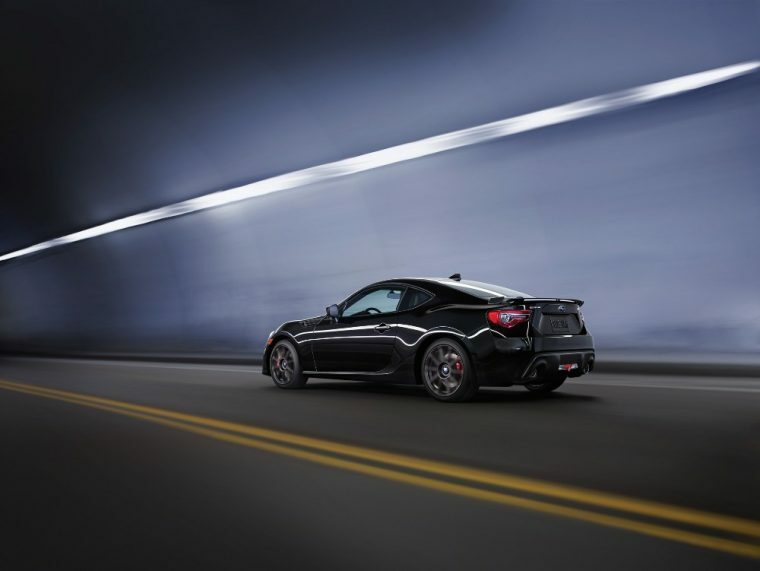 While all other cars and SUVs that Subaru produces nowadays come standard with all-wheel drive, the BRZ is a two-door sports coupe that features rear-wheel drive and is more at home on the track than it is trudging through the snow and slush of colder weather climates. However, despite not offering the same safety equipment as some other models, the Subaru BRZ still offers excellent value with its starting MSRP of $25,495. This makes it an ideal option for those consumers looking for a fun weekend car, which they can use to blow off steam and relax. The ’17 BRZ competes with other affordable sports cars such as the Mazda Miata, Ford Mustang, and it’s twin vehicle, the Toyota 86. What’s New for the 2017 Subaru BRZ ? The most notable revision to the Subaru BRZ might be the modified gearing for the manual transmission, as well as a slight power increase when the vehicle is equipped with the manual gearbox. 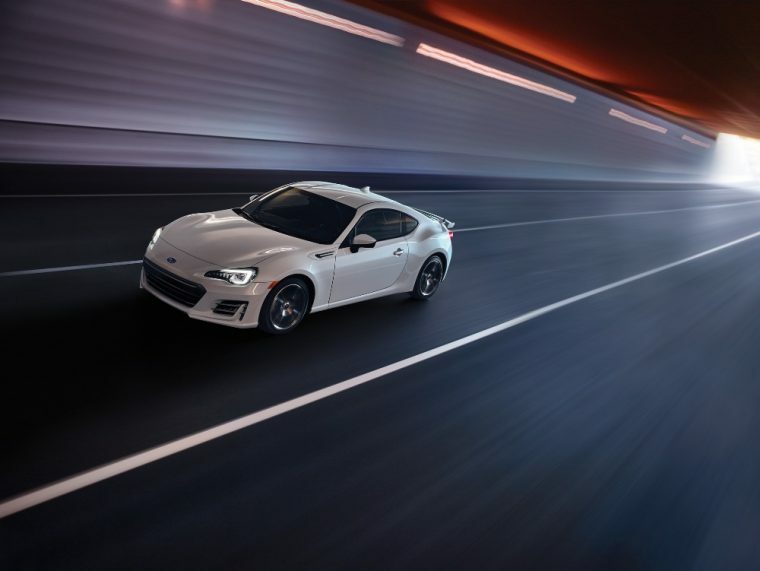 While the BRZ using the automatic transmission still packs 200 horsepower and 151 lb-ft of torque, the BRZ equipped with the manual gearbox is good for five more horsepower and improved torque. The front end of the vehicle has also been updated, as it now features C-shaped LED lights. Furthermore, a Performance Package is also available that adds larger Brembo brakes, unique 17-inch wheels, and Sachs ZF shock absorbers. As previously mentioned, the 2017 Subaru BRZ gets newly designed LED lighting, as well as integrated daytime running lights. However, those minor changes certainly don’t take away from this sport car’s elegant profile, which is highlighted by its domed roof, flared fenders, and 17-inch alloy wheels. It goes without saying, the ’17 Subaru BRZ is sure to catch the attention and turn the heads of nearly every other driver it passes, whether that’s out on the racetrack or on city streets. Exterior color options for the new Subaru BRZ include Pure Red, Crystal Black Silica, and WR Blue Pearl. While the 2017 Subaru BRZ isn’t the ideal car for the drag strip, it does handle exceptionally well thanks to new suspension tuning and an updated stability control system. 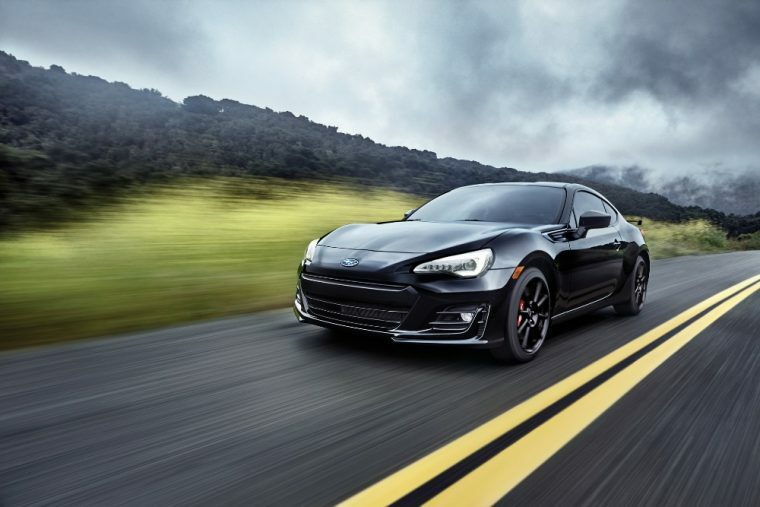 Underneath the hood, the Subaru BRZ comes standard with a naturally-aspirated 2.0-liter flat-4 motor and six-speed automatic transmission, which work together to produce 205 horsepower and 156 lb-ft of torque. In contrast, those performance numbers drop slightly to 200 horsepower and 151 lb-ft of torque when that engine is paired with the available six-speed automatic. The base model features a curb weight of 2,785, so despite packing only 205 horsepower, the ’17 Subaru BRZ can still zip from 0 to 60 mph in just over six seconds. Besides its exceptional cornering capabilities, one of the other strong selling points for the 2017 Subaru BRZ is its impressive fuel economy. In fact, when the 2017 Subaru BRZ is loaded with the six-speed automatic gearbox, it yields EPA-estimated fuel economy of 24 mpg in the city and 33 mpg on the highway. On the other hand, when equipped with the six-speed manual transmission, efficiency ratings slip to 21 mpg in the city and 29 mpg on the highway. Furthermore, every 2017 Subaru BRZ comes with a 13.2 gallon fuel tank. The 2017 Subaru BRZ comes with the type of wraparound interior that one might expect from a sports car of its size. Many online reviewers have complimented the outward visibility of the BRZ, but one major complaint about this car is the limited space found in the rear seats, although what would you expect from a small two-door sports coupe that some experts say is most suitable for track and weekend driving? Also, while the BRZ is the only Subaru model that currently doesn’t come standard with all-wheel drive, the automaker has loaded the coupe with many premium features, including an updated infotainment system, navigation, smartphone app compatibility, USB port, HD radio, air conditioning, cruise control, a leather-wrapped steering wheel, and a rearview camera, just to name a few of the BRZ’s standard features. In addition, the BRZ provides 6.9 cubic feet of storage space in its trunk. The 2017 Subaru BRZ comes standard with a four-wheel antilock braking system, brake assist, multiple airbags, and a tire pressure monitoring system, as well as vehicle stability control. 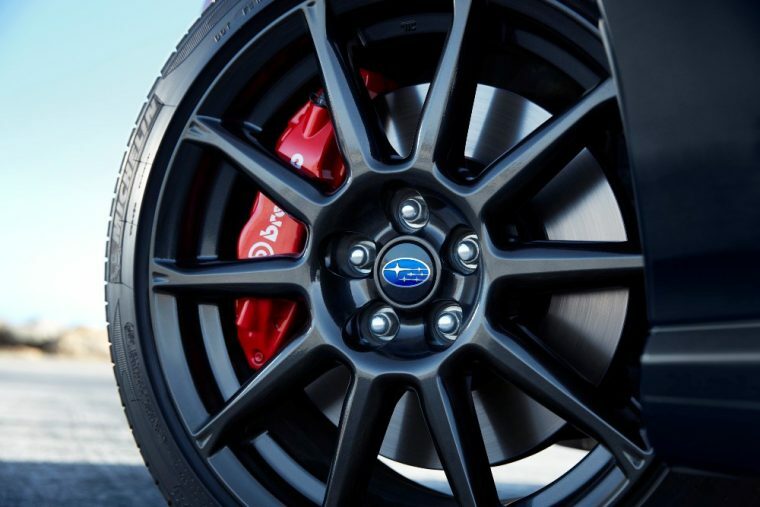 Furthermore, for those consumers who crave additional stopping power, Subaru also offers a Performance Package that includes high-performance Brembo brakes. Also, while the Subaru BRZ was named a IIHS Top Safety Pick from 2013 to 2015, it only earned four out a possible five stars in safety tests performed by the federal government. To be more specific, the Subaru BRZ earned five stars in the rollover portion of the tests and four stars for front crash safety, but the BRZ has yet to be evaluated in the side crash safety test.